One of the most powerful features in Chartist is its support of COM (Component Object Model). All editions of Chartist are COM servers. 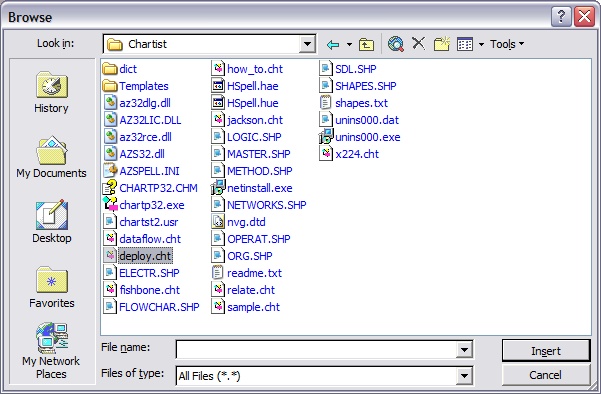 This means that Chartist objects (diagrams or parts of diagrams) can be placed into the documents of other applications, and can be edited and saved from those other applications. 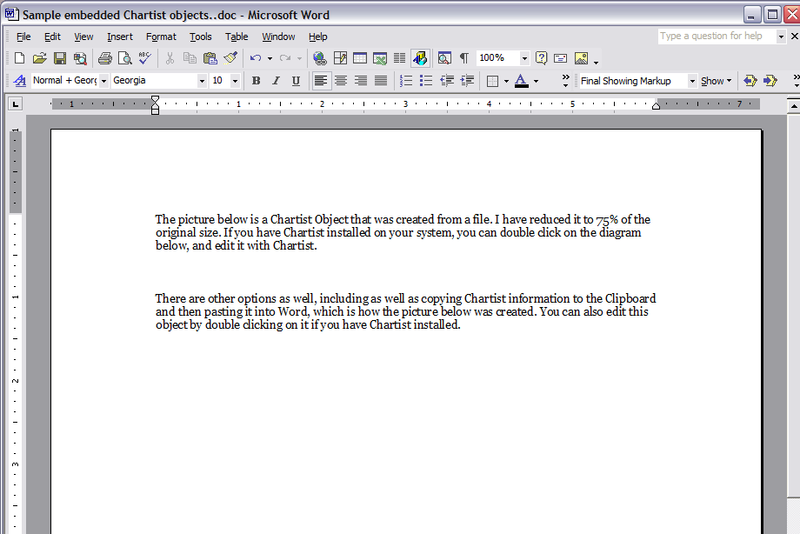 As an example, we will create a Chartist diagram and place it into a Microsoft Word document. Below is a section of the main window of Word with some text in it. We want to insert a picture from Chartist as an "embedded" object. 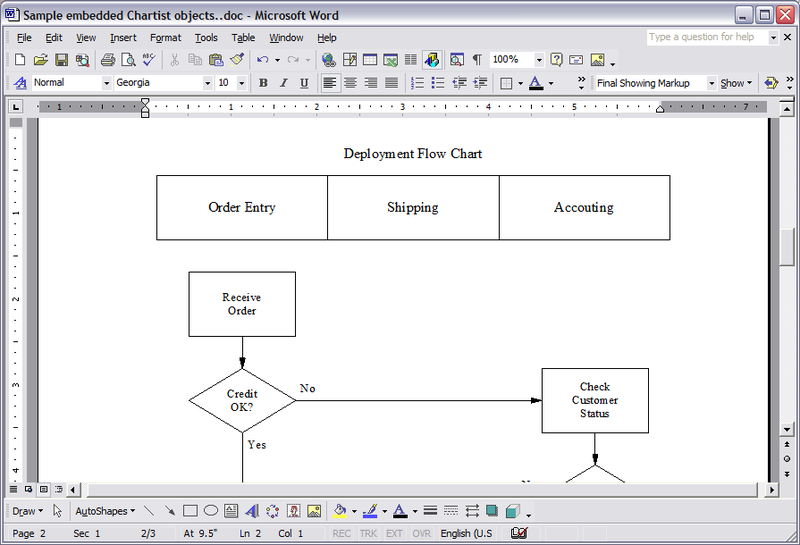 This action makes the Chartist diagram part of the Word document. 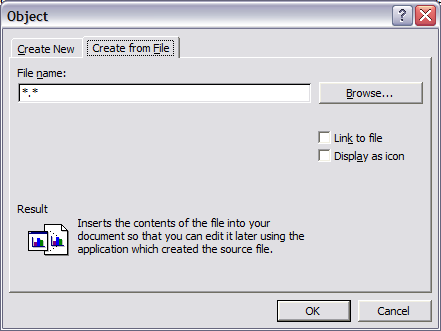 To do this in Word, click on Insert->Object, and then since we already have the diagram we want saved in a file, we choose the "Create From File" tab, and then browse for the desired Chartist file. We are nearly done. We want to make the Chartist diagram a little smaller, so it will fit on the same page as the text we have already entered into the Word document. 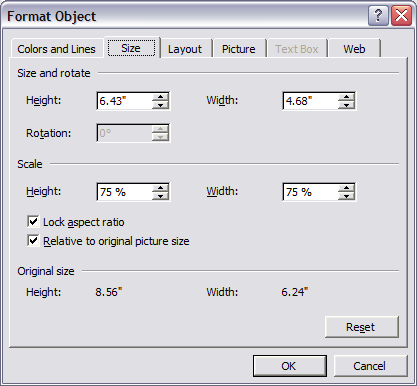 In Word, we right click on the diagram and choose the "Format Object..." command. We make the Scale 75% in height and width in this example. The results give us the illustration we wanted in our document. The Chartist diagram is now part of the Word document. 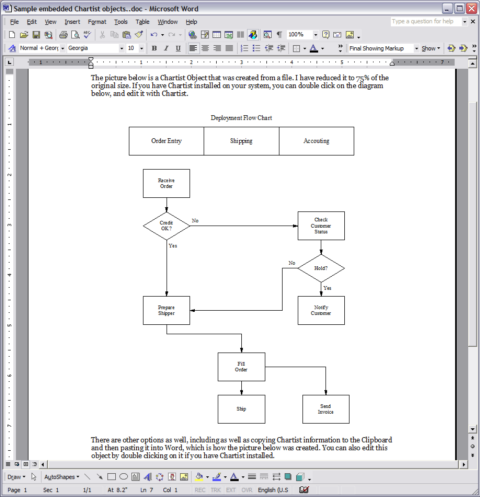 When we want to change the diagram, all we need to do is double click on it in Word, and Chartist will be launched with the object loaded and ready to edit. Any changes we make are immediately updated back to Word. Most word processing and publishing applications support COM objects and compound documents like this one. Chartist provides a very convenient and simple integration with these applications. Also the illustration itself is a vector drawing, specifically an enhanced metafile. This means that when the document is printed, or published, the illustration will be rendered at the full resolution of the output device.